Any Data Driven journey starts with a single step. Start with a single process and take one step at a time. And be ready to catch yourself! Walking is seemingly simple. Just put one foot ahead of the other...right? Mechanically that is true, but walking is in fact the act of constantly falling forward without hurting yourself. Think about it. Just lifting your leg and feet will just result in stomping on the spot. Very silly looking I assume. The point is to move forward; one can only do so by leaving the current position. When walking you lean forward until a step is necessary to catch yourself. Your initial action is to remove your current balance to achieve forward motion. A single step is usually safe, but it may also be the start of a journey with unknown destination. Awareness of your current position is critical to assess what next step you should take. So here we are, trotting along the path of life. Let us apply the same reasoning to becoming a Data Driven organization. What is the path, what should be expected in each step, what is your current position and what would be an appropriate next step? And what action today will cause you to lose your balance to allow the journey to begin? · Technology: Data resides unrequested in source systems or data is requested for Self Service Tools, eg PowerBI, Qlik, but not available. · Culture: The organization is unaware of existing data; its location, its meaning, its ownership. · Processes: No role or process actively own data entities or proactively facilitate increased use. 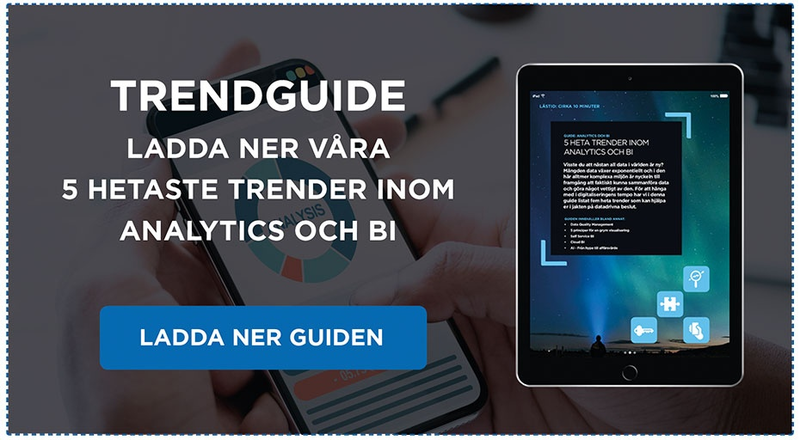 · Technology: Either an analytic tool bundled with the source system or loaded to individual or team solutions using Self Service Tools, eg PowerBI, Qlik. · Culture: The people in the operative process is aware of the data created within the process. It is not shared outside the team. The team’s focus is to solve immediate issues or monitor own result. Unaware of related processes and data entities. · Processes: The team works closely with actors in the operative process, but not between processes. No role or process actively own data entities or proactively facilitate increased use. · Technology: Data from source systems are integrated in an Enterprise Decision Support system, eg a Datawarehouse, either logical or physical. · Culture: The organisation is aware of what data exist, its ownership, its meaning and where it is used. · Processes: A Data Governance process proactively handle Master Data, cooperate with Data Owners and -Stewards to facilitate improved quality, an Enterprise wide One-Version-Of-The-Truth and increased use overall. · Technology: The Enterprise Decision Support system evolve with increased use of AI and Machine Learning. · Culture: Initiatives form in the operative processes to utilize available data to solve specific problems or optimize an isolated process or innovate new products. · Processes: Automation impact and data awareness result in new ways of working. New processes are designed with Data First in mind. · Technology: The Enterprise Decision Support system becomes a continuous Data Service Platform for support of decentralized initiatives. · Culture: Data utilization initiatives become part of everyday work, required data is expected to always be available. Immediate feedback of Data Utilization initiative result is expected. · Processes: Existing processes are redesigned with Data First in mind. The processes and the data used are monitored and the output is automatically fed back to the process and algorithms to drive improvement in every iteration. We at Enfo have aided several customers through the journey and up the stairs. Let’s walk together! Continue on the subject by reading this blog: What is Analytics?